Opened in June 2013, The Eyecare Surgery Center is a full-service, state-of-the-art surgical facility offering Blade-Free LASIK, Laser Cataract Surgery and other outpatient procedures in a relaxing, convenient environment. Now, every facet of the vision correction and care process is available at one convenient location. From initial screenings and clinical exams to surgery and post-op check-ups. Our on-site team of experienced excimer and femtosecond laser operators, nurse and surgical technicians are adept at ensuring patient scheduling, procedures and other processes are seamless and hassle free. We offer the safest, most proven and innovative LASIK and Laser Cataract equipment on the market. Our Intralase laser is “fixed-site. 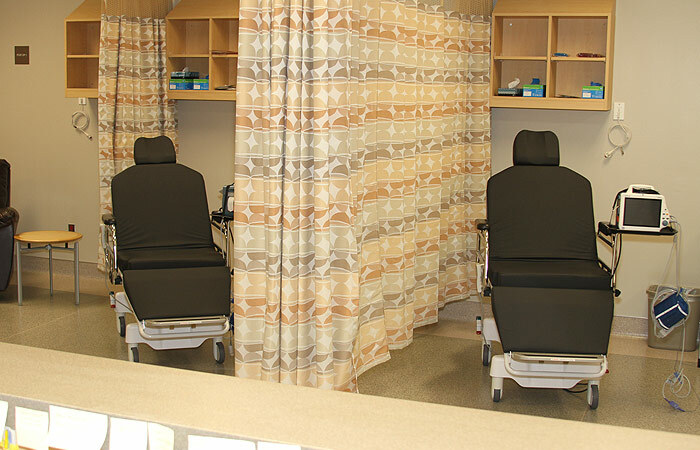 Unlike other centers that “roll-on” their LASIK equipment on “surgery days,” our equipment is on-site and stationary. The 2,500 square foot facility is adjacent to our street-level office location on Lakeland Drive near I-55, and offers ample parking just steps from our front door for quick and easy access. Call us to schedule an appointment today. In the meantime, click through our links to learn more about how we can help you.